'The Secret History' tells the tale of a group of Ancient Greek students at an American college. One of their number, Bunny, is murdered. Whilst the story is told in linear fashion, we know the fact of Bunny's death in the first sentence. This is to reflect classical Greek tragedy, where the tragic hero's fate is sealed by the gods before the play even begins. As Oedipus could not avoid the path laid out before his birth, neither can Bunny. We know he has been killed, all that's left to discover is why. And that's why I love this book. 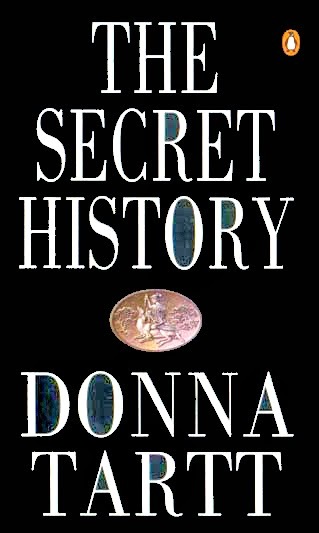 More than that though, 'The Secret History' explores classic themes of class consciousness and of the outsider trying to fit in by pretending to be something he is not. The book is told first person by Richard Papen. Our hero is from a poor background, whereas the group into which he insinuates himself are all from affluent families. Richard invents a wealthier past in order to ingratiate himself and obtain admittance to the course he most wants to study. A great book. Avoid her second book, 'The Little Friend', like the plague.